Portable price changes | Avionics Blog – Avionics to the Max! Garmin’s popular aviation portables are able to find their way into your cockpit with a new lower price. 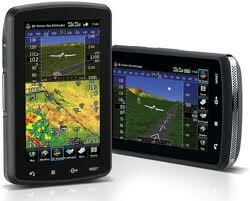 The Garmin 796 is now only $1,999.00! For all other portables check out our Webstore or call us. Maxcraft Avionics is a leader in airplane and helicopter avionic system upgrades like the Garmin GTN series, including installation of everything from a basic VHF Radio and simple Garmin portable GPS all the way to TCAS, EFIS, and autopilot systems. We have the largest avionics facility in Canada and we have over 20,000 unique part numbers in our in inventory to repair your aircraft or upgrade your cockpit. This entry was posted in Avionics News and tagged Android, Annual Poker Run, autopilot systems, Aviation, BC Floatplane Rust Remover, Canada, cockpit, efis, garmin, Garmin Aera 796, Garmin GPS, Garmin GTN, Garmin portables, GDL 39, GPS, iOS, iPad, Maxcraft Avionics, portables, SPOT, tcas, VHF Radio. Bookmark the permalink.